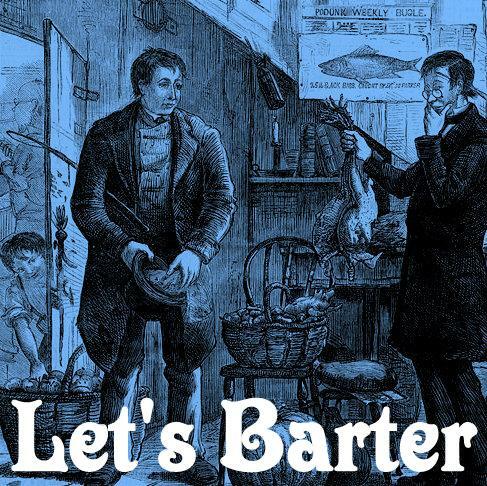 Barter usually replaces money as the method of exchange in times of monetary crisis, when the currency is unstable and devalued by hyperinflation. We Welcome you to our Barter Page, where you can trade items you have with other individuals or groups, at the site, in exchange for the items you want or need. Don't forget that 3-way Bartering is also an option. Click Here for an expanation.